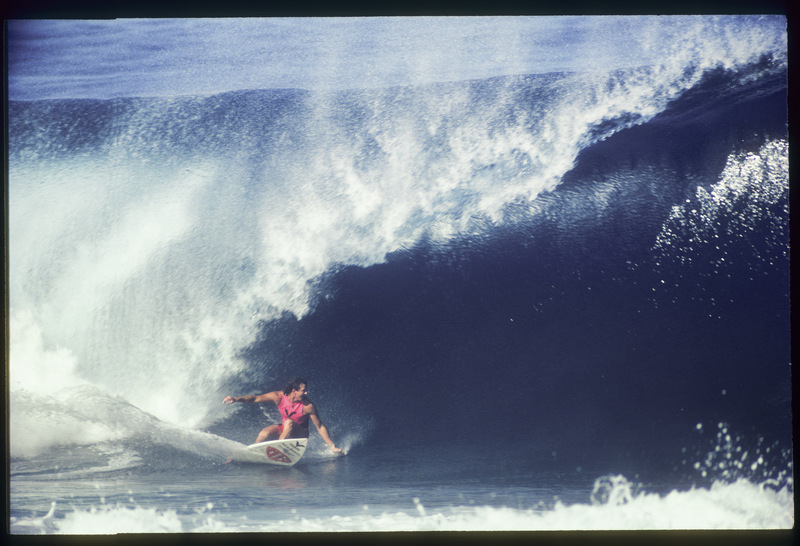 Four time world champ, Mark Richards shot at Pipeline with a 1000mm lens at 1/250th of a second. Mark was the best surfer there was at the time. On a personal note, when I see this photo it reminds me of my dad. Right after I shot it, my brother came down to the beach and told me that my dad had just passed away. It will always be one of my favorite photos.